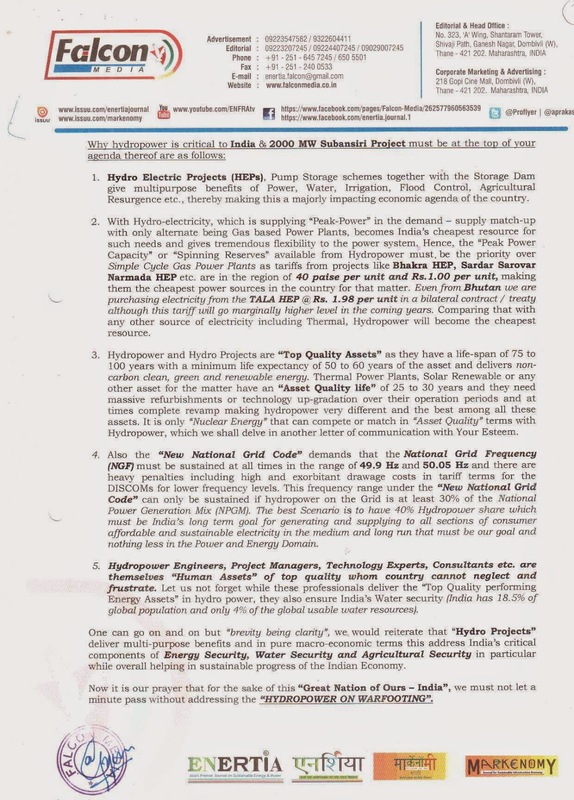 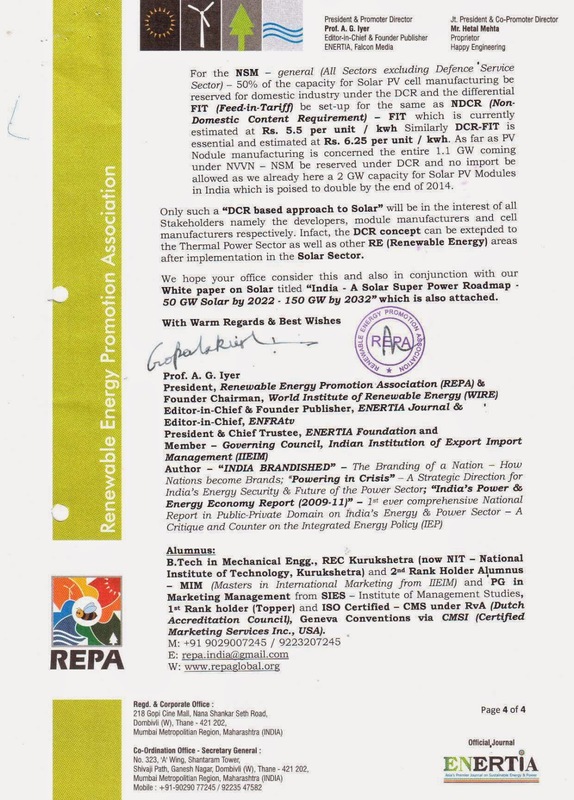 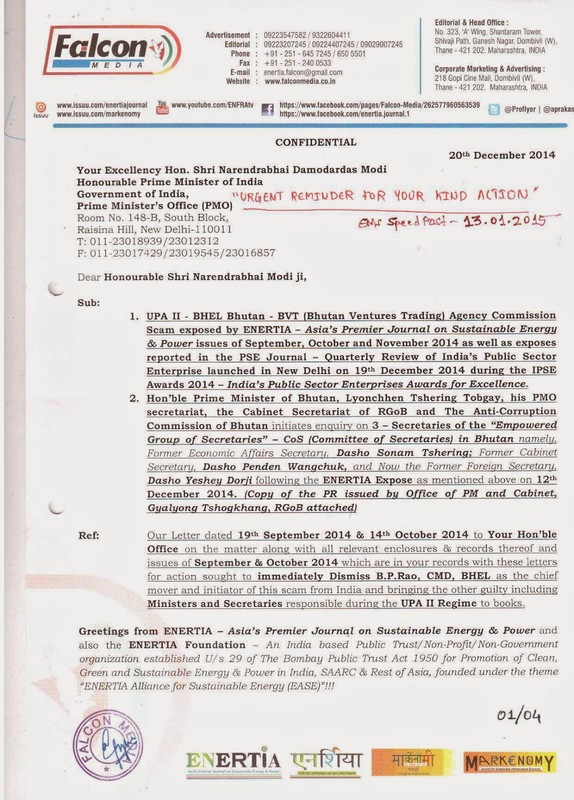 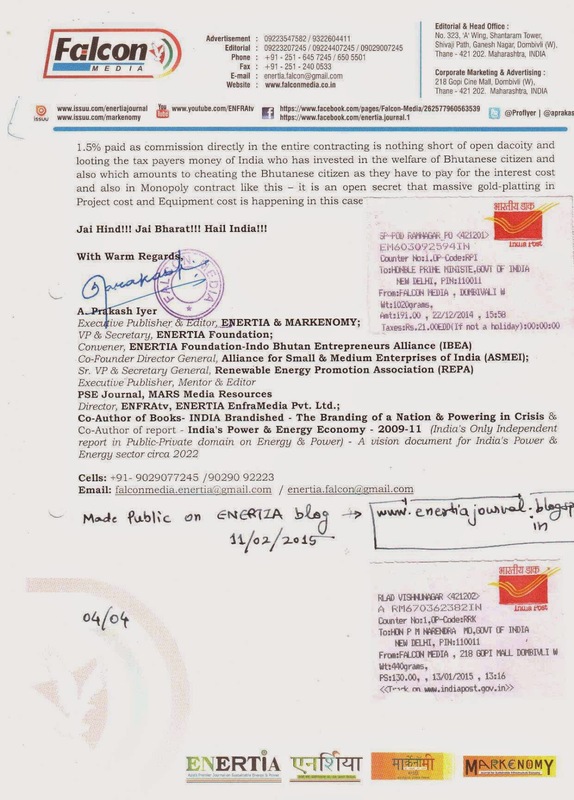 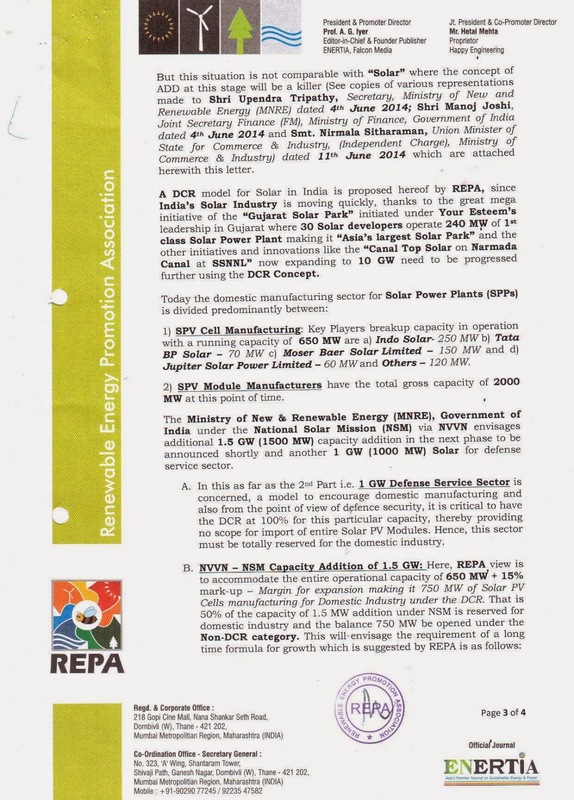 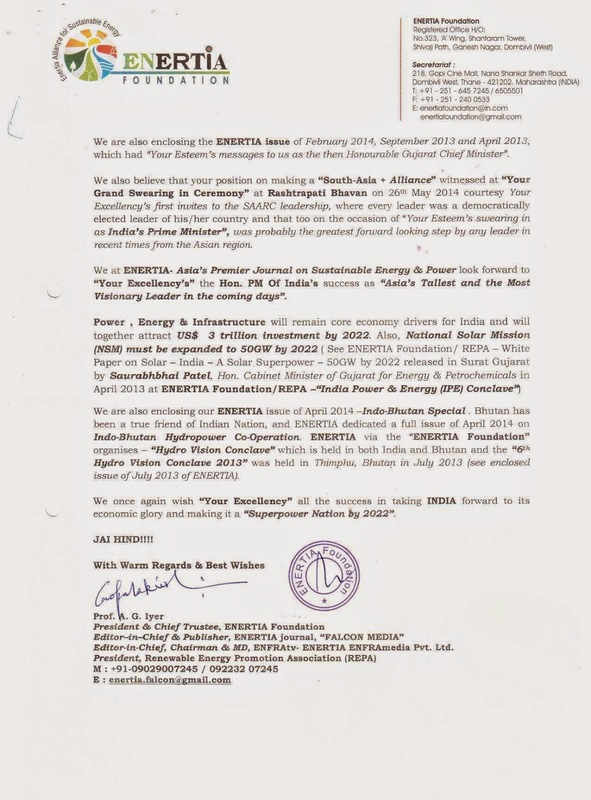 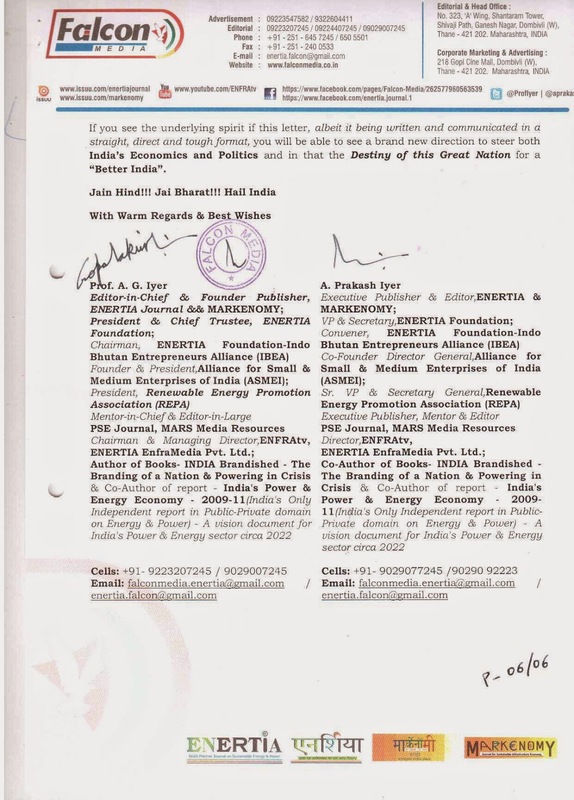 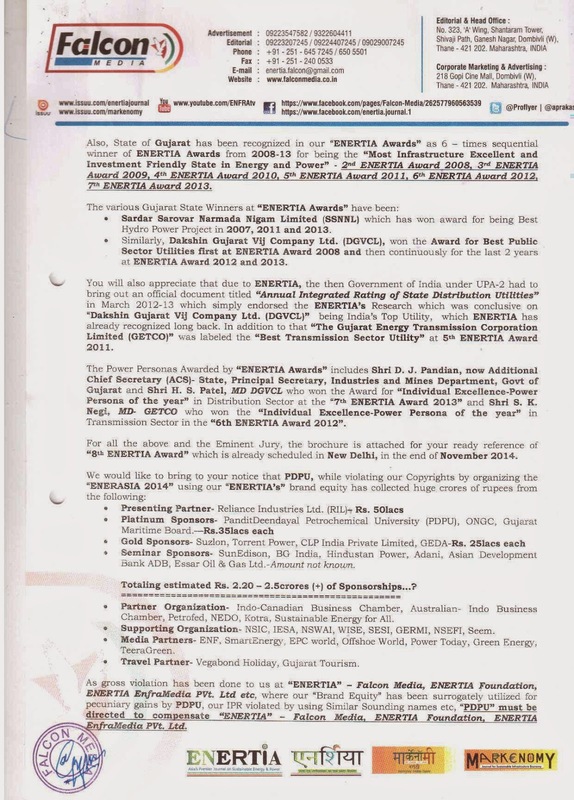 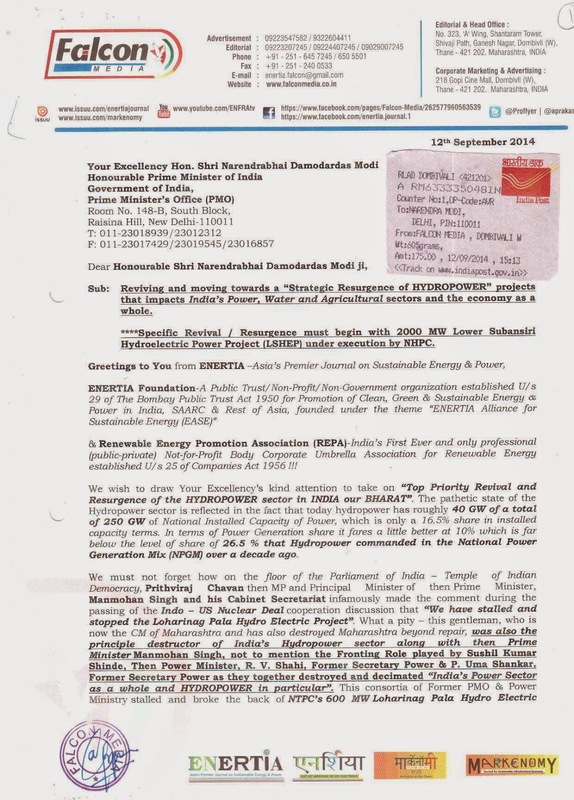 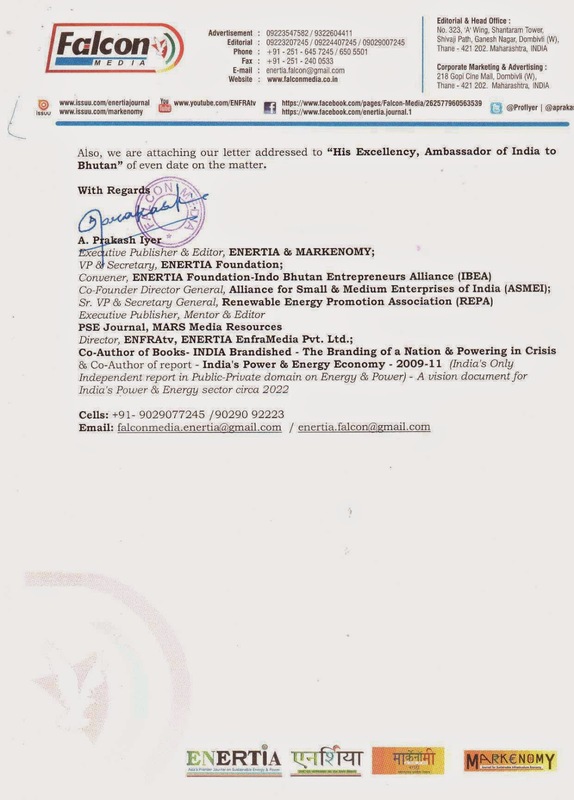 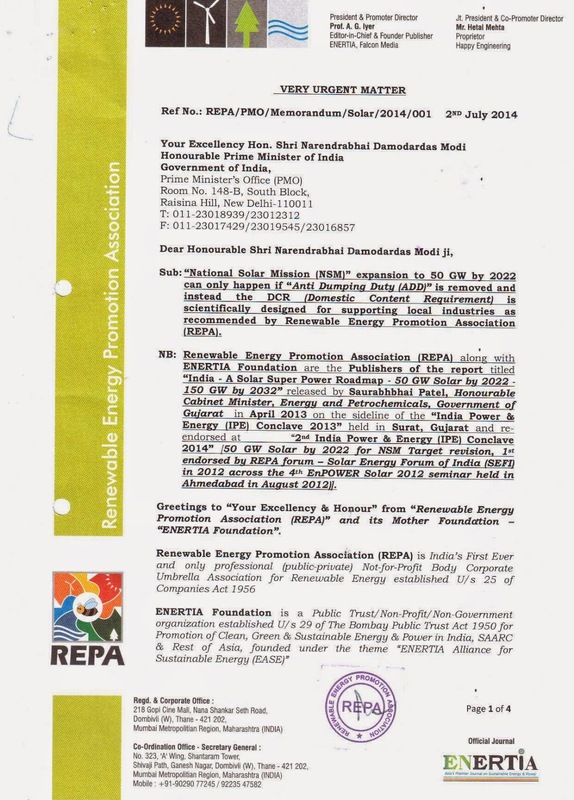 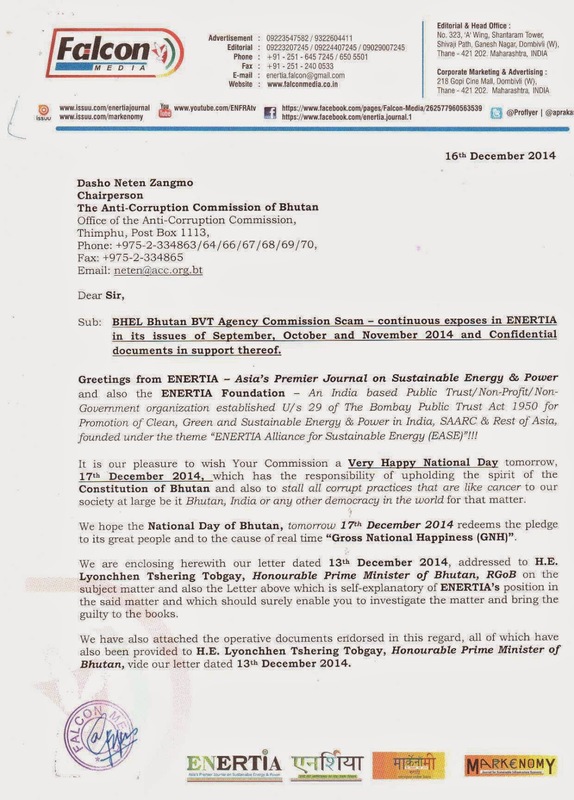 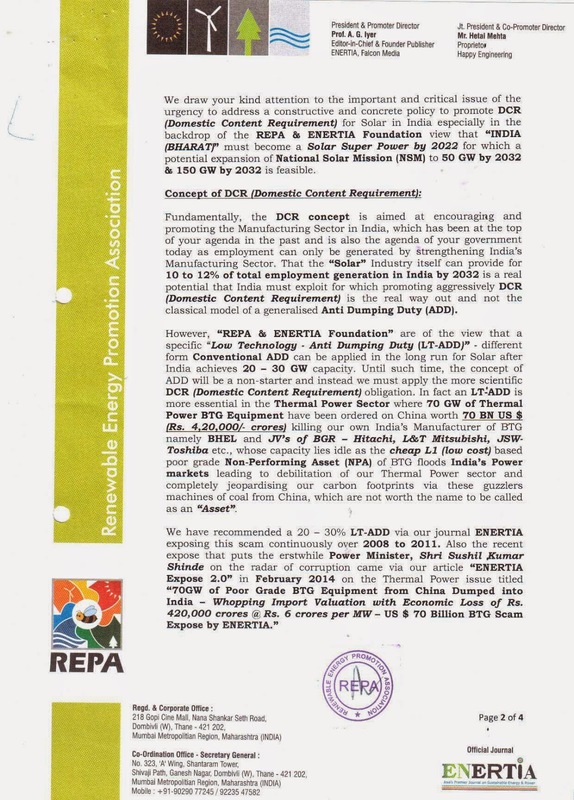 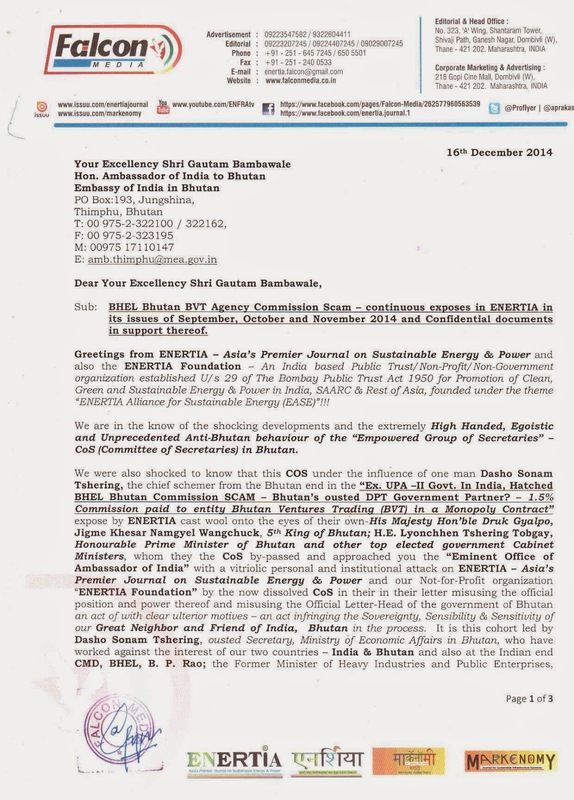 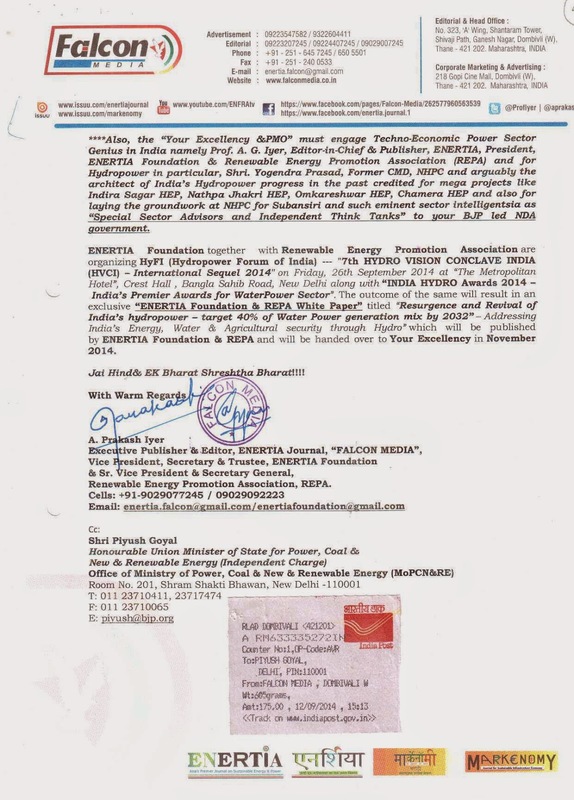 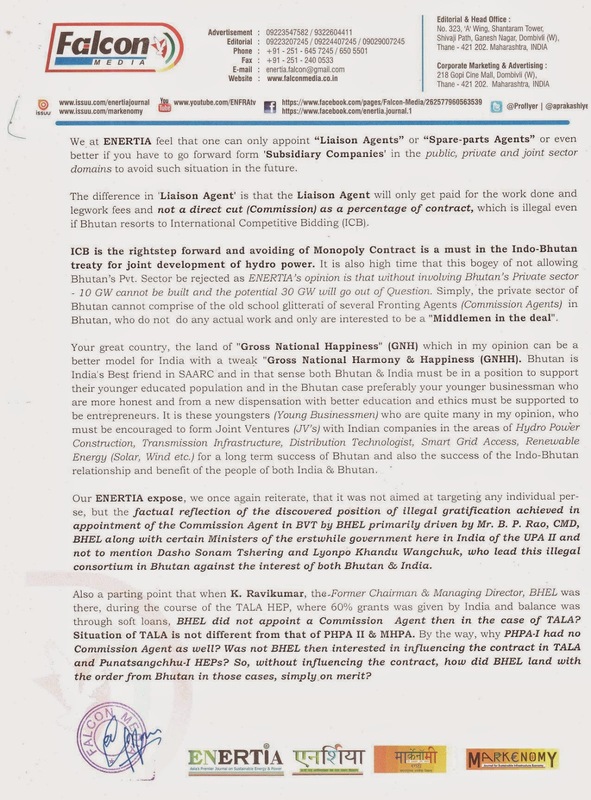 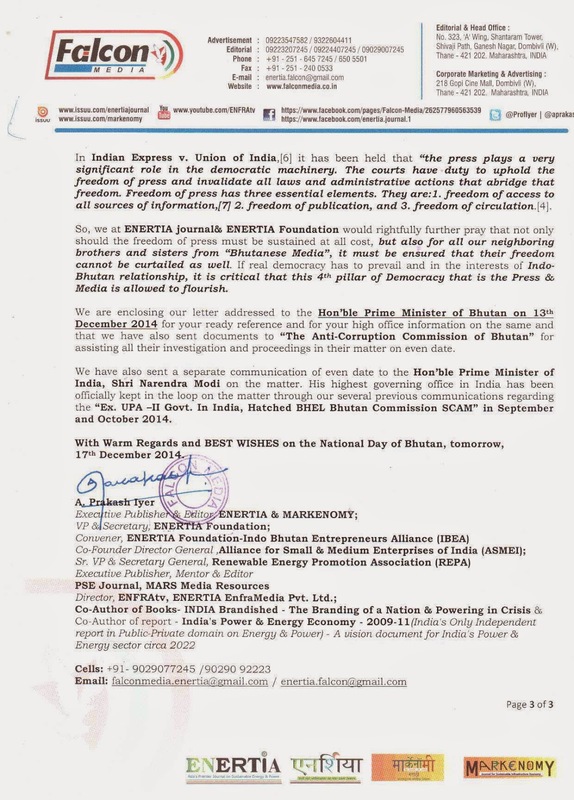 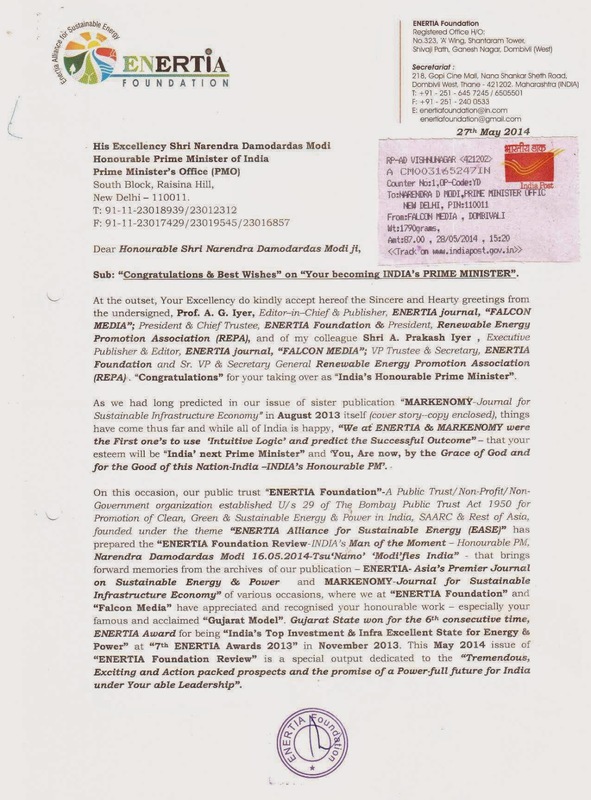 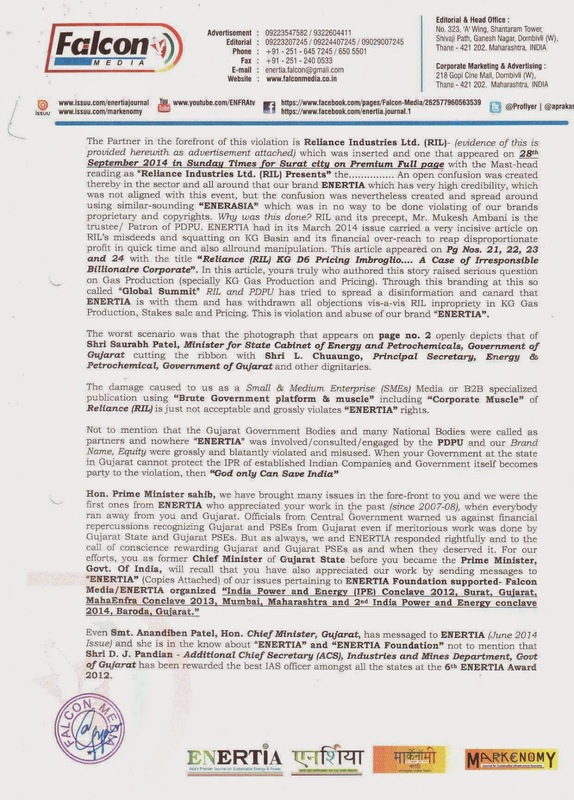 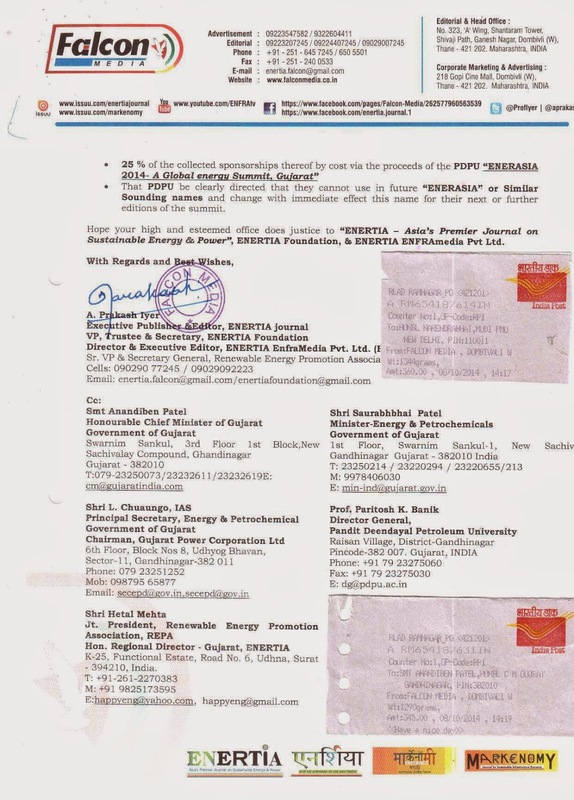 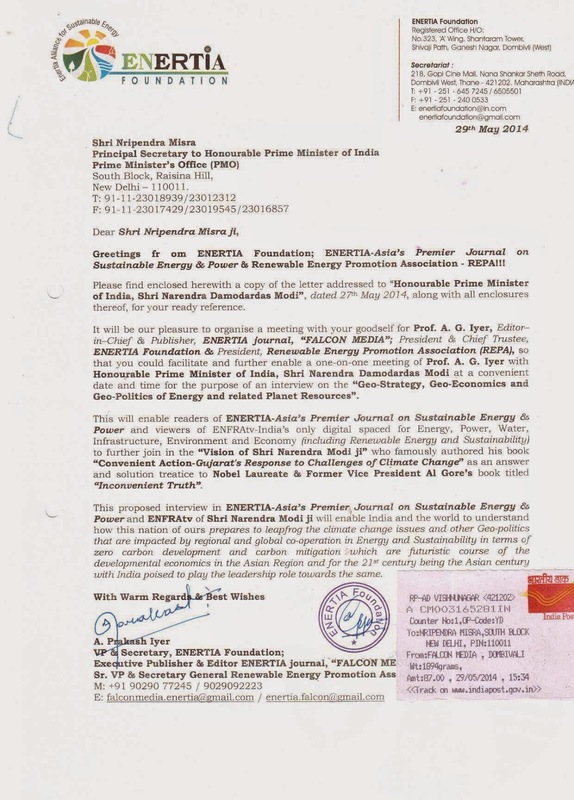 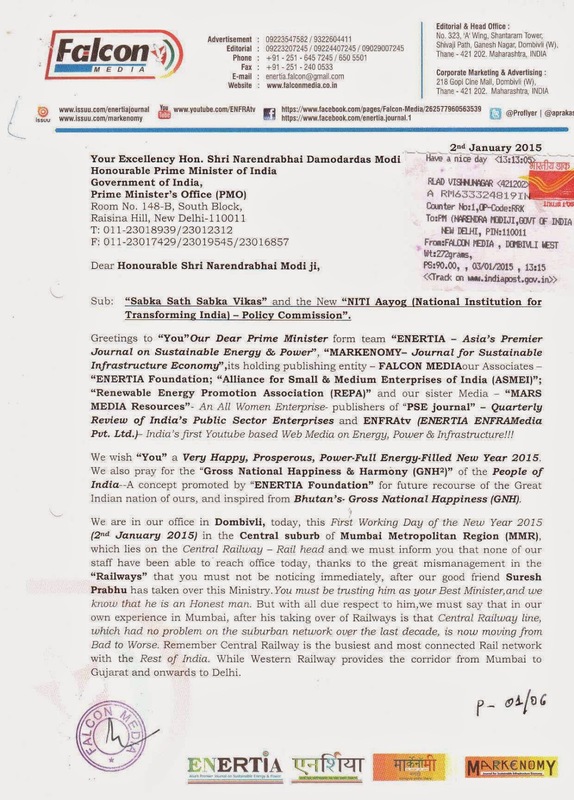 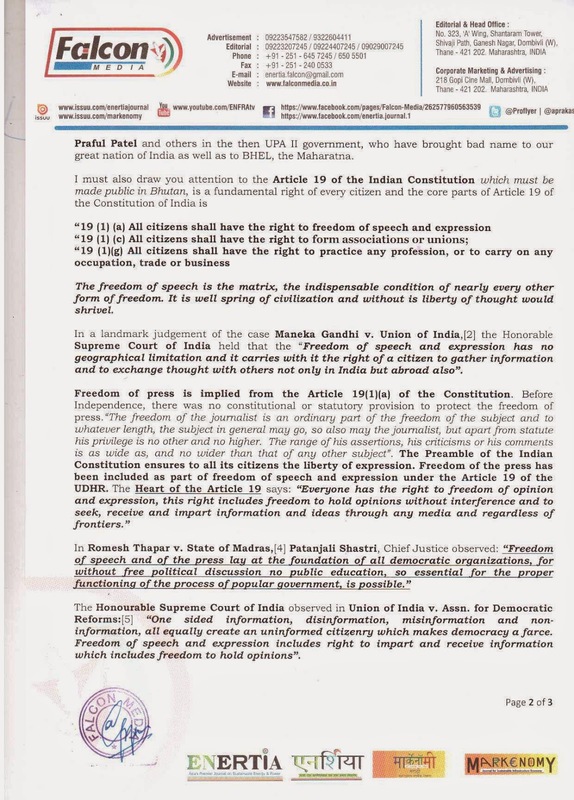 Letters from ENERTIA - Asia's Premier Journal on Sustainable Energy & Power, Falcon Media to Hon. 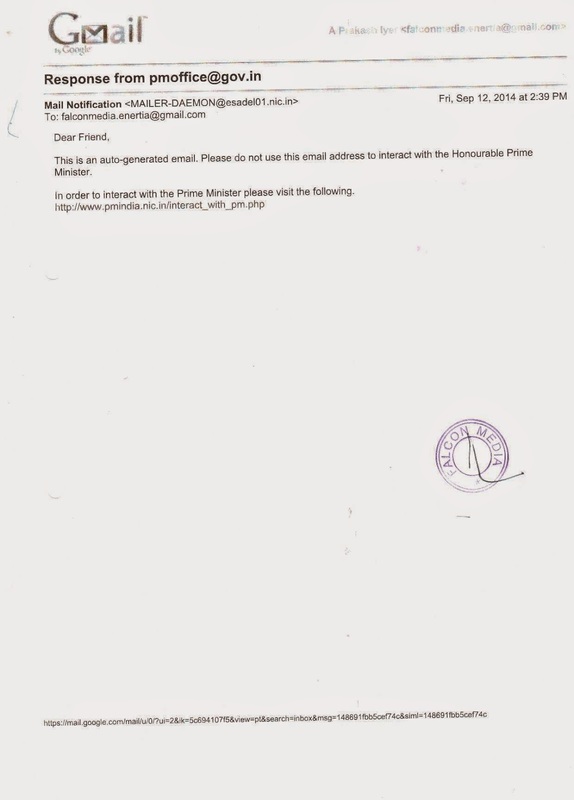 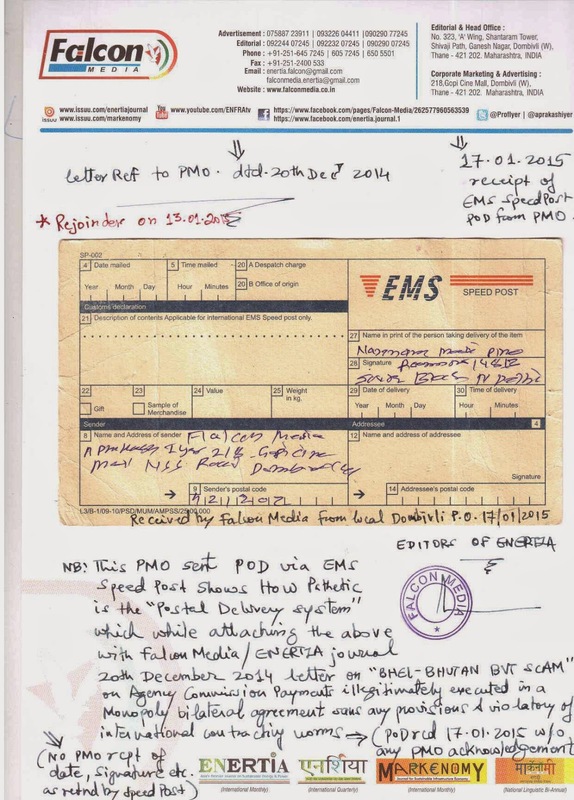 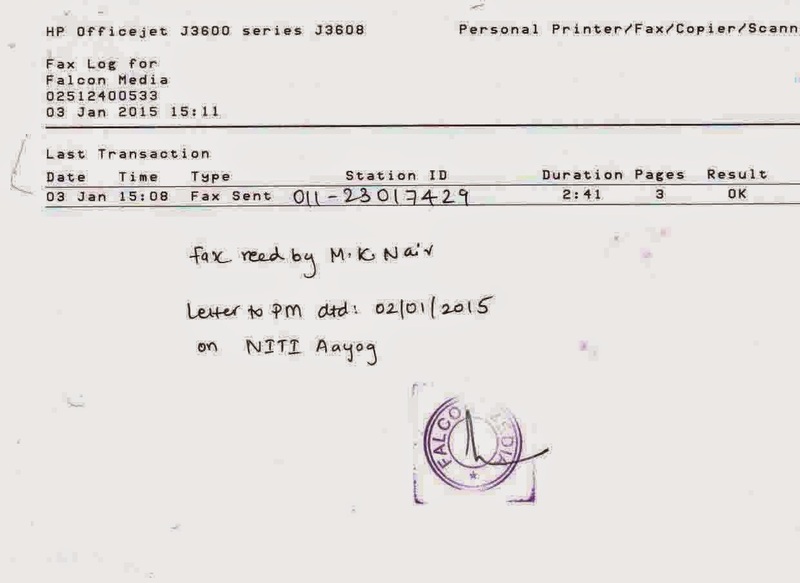 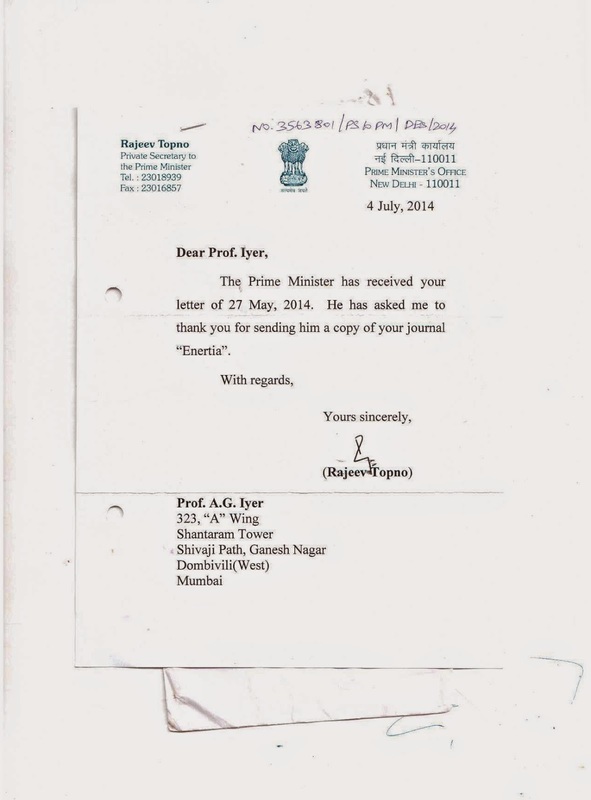 Prime Minister of India & Associated letters to PM, Bhutan, Hon. 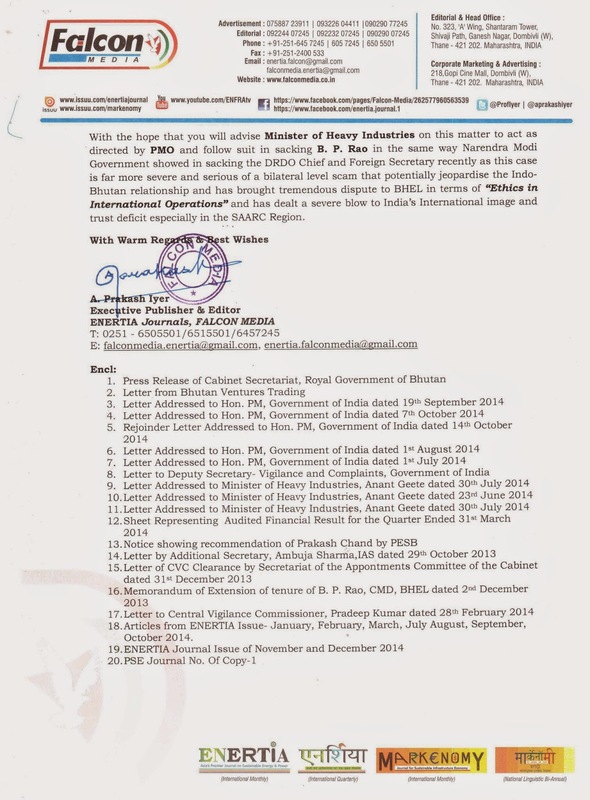 Minister of Heavy Industries, Govt. 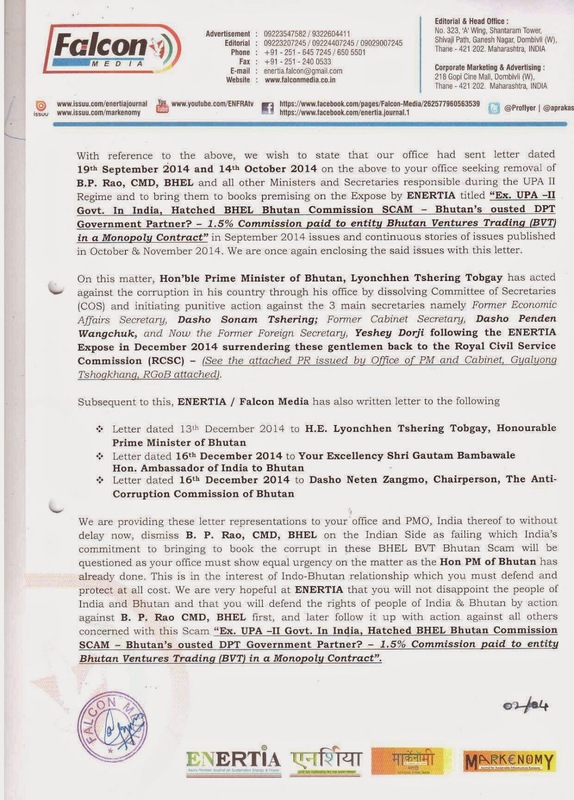 of India; Hon. 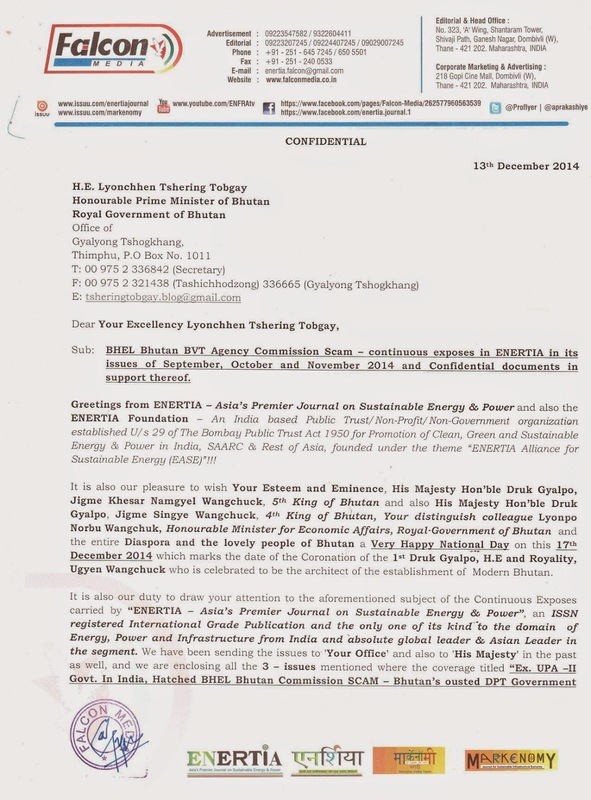 Ambassador of India to Bhutan; ACC (Anti Corruption Commission) of Bhutan etc. 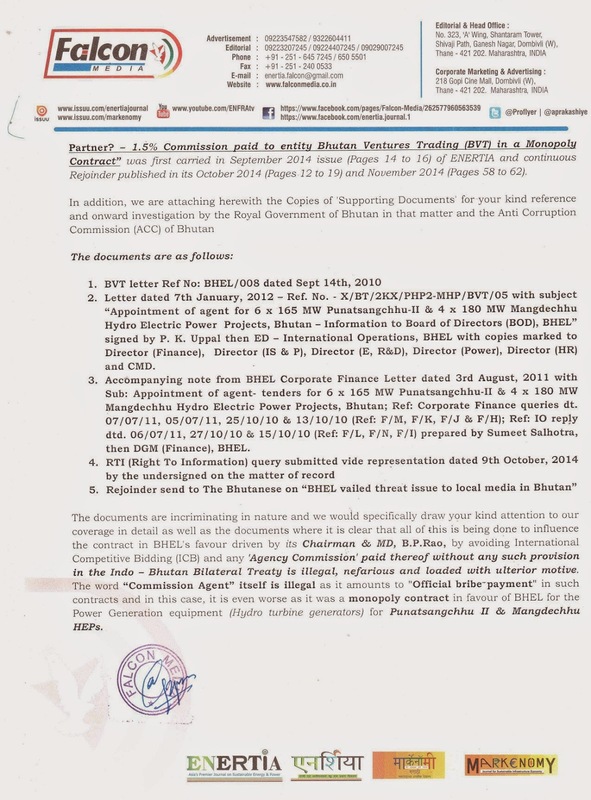 in the matter of - "BHEL BVT Bhutan Agency Commission Scam" & the "Illegitimate Appointment Extension of Current CMD, BHEL, B.P.Rao and his involvement in this Scam as its king-pin in India". 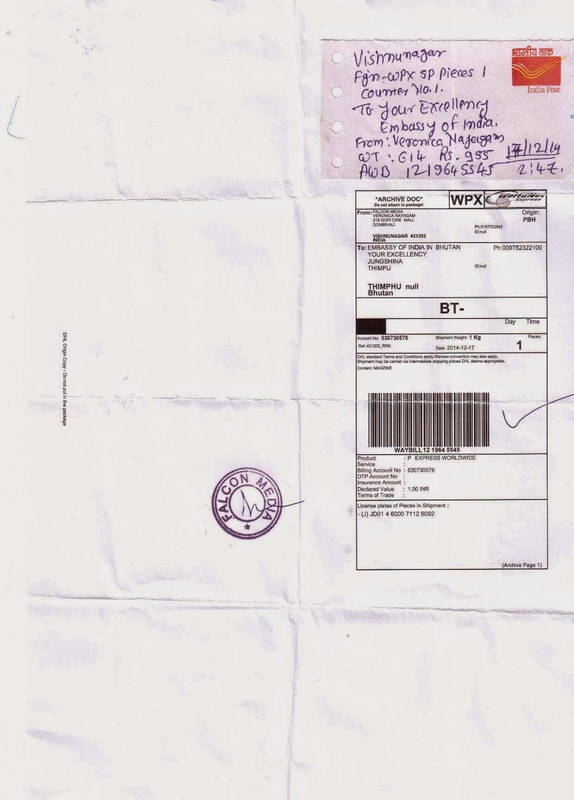 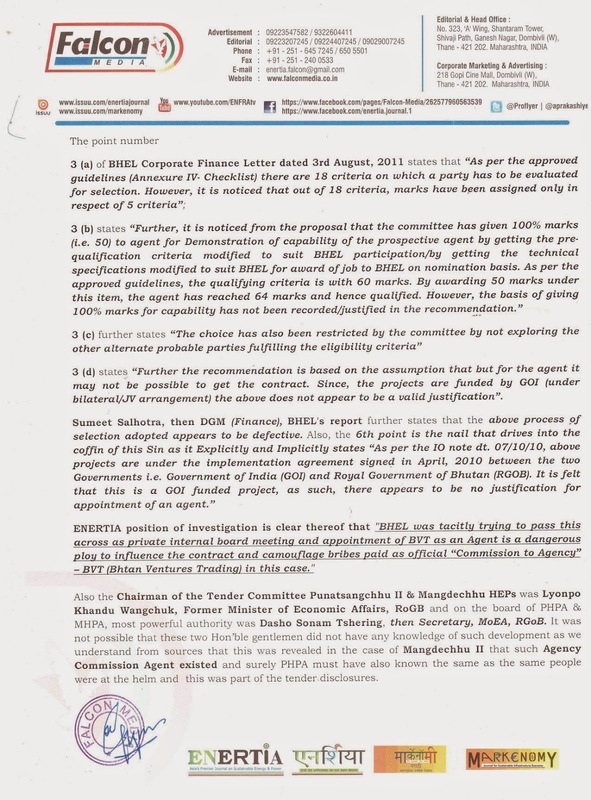 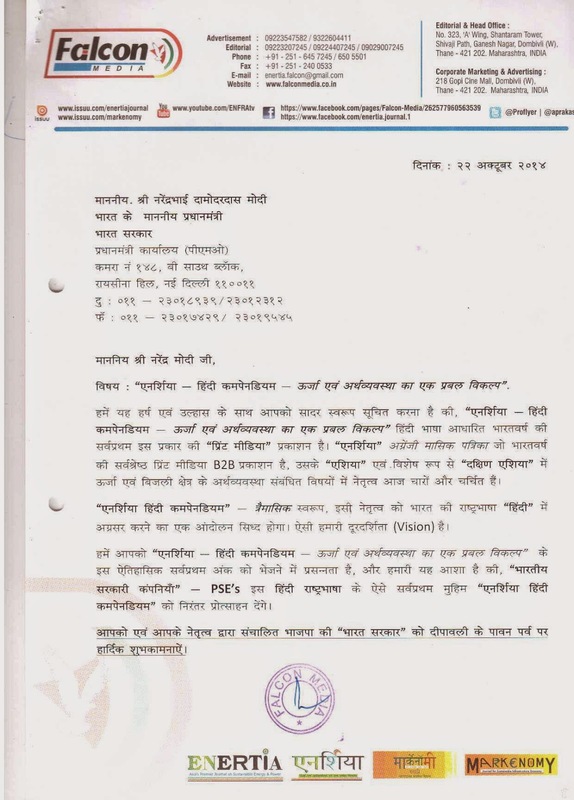 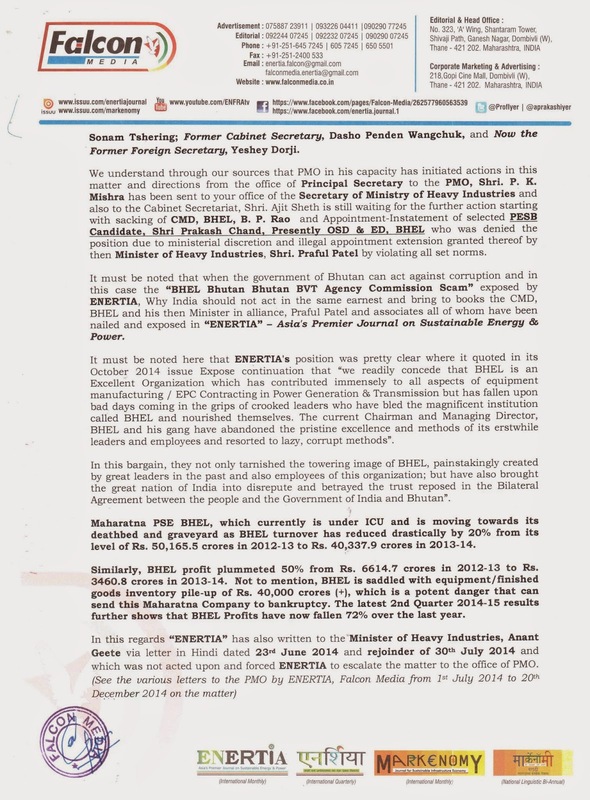 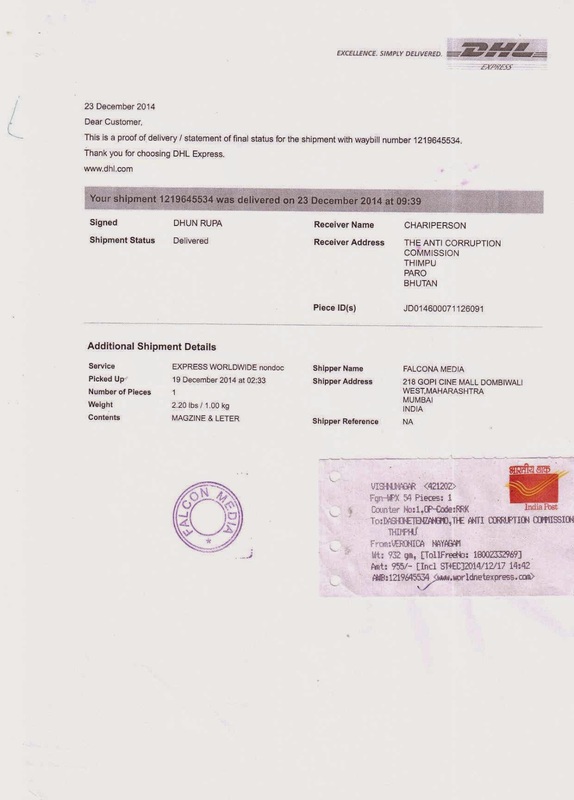 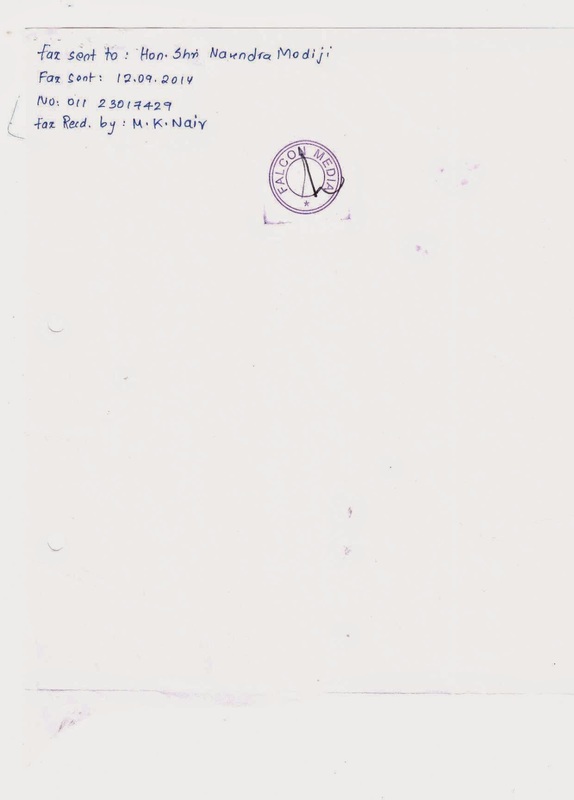 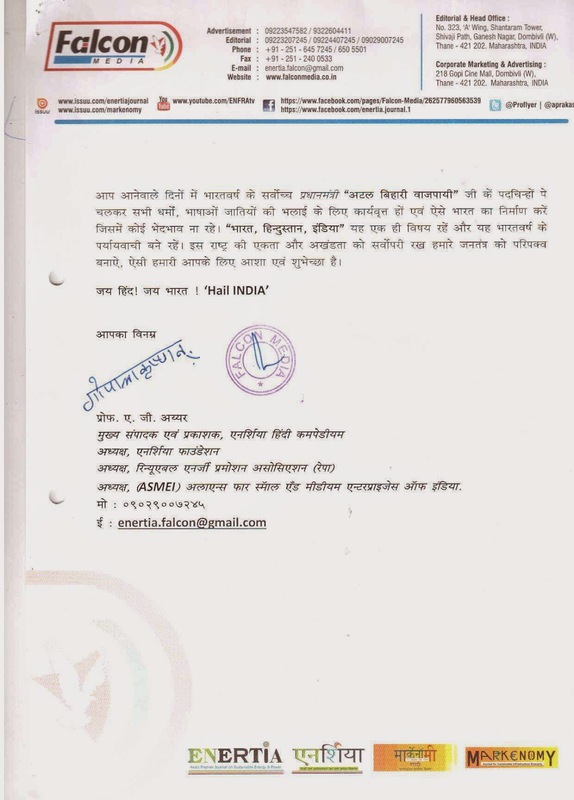 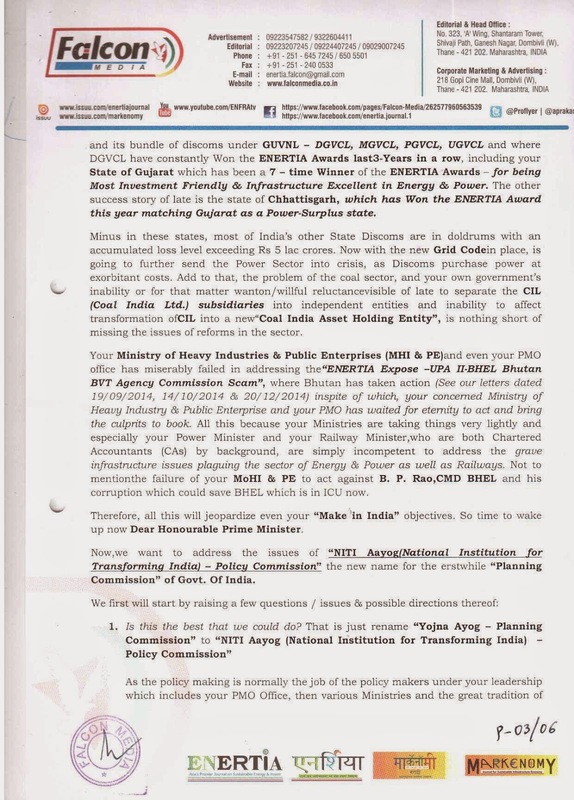 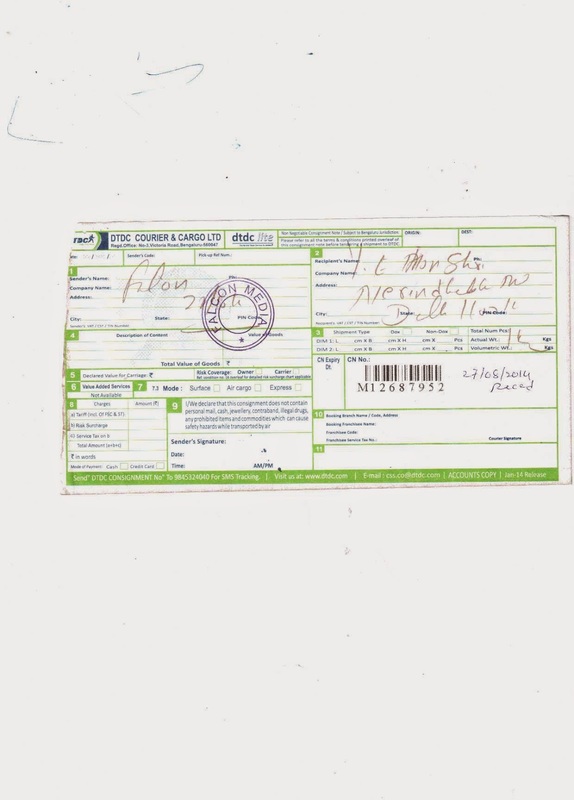 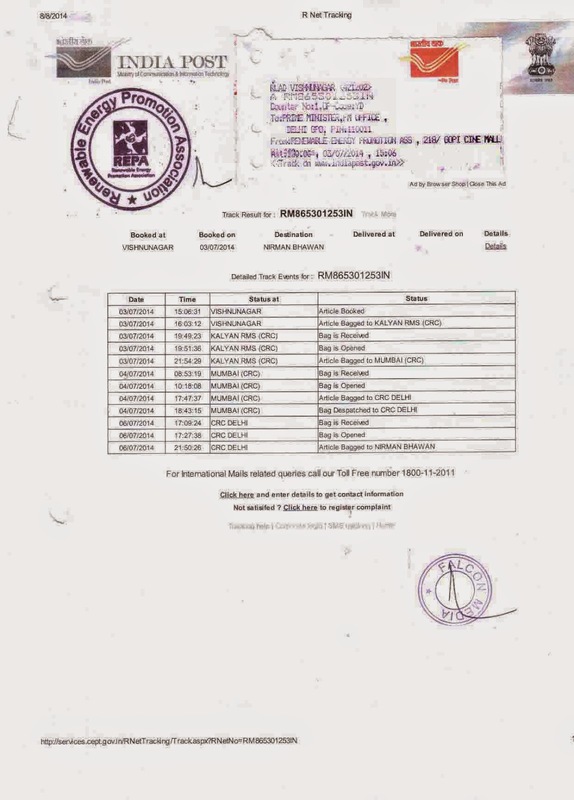 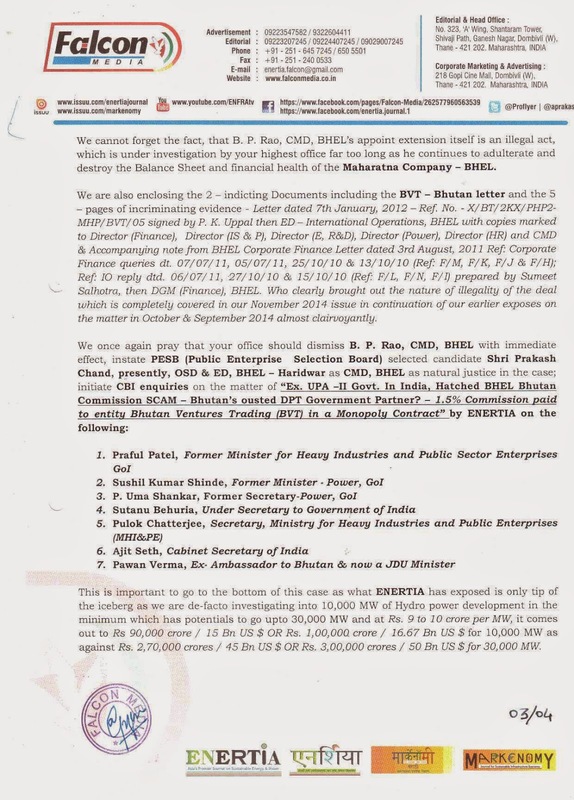 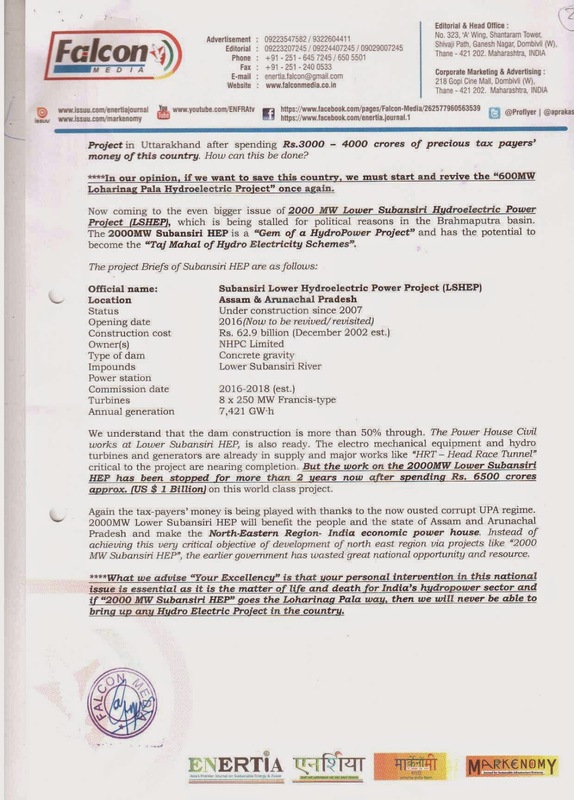 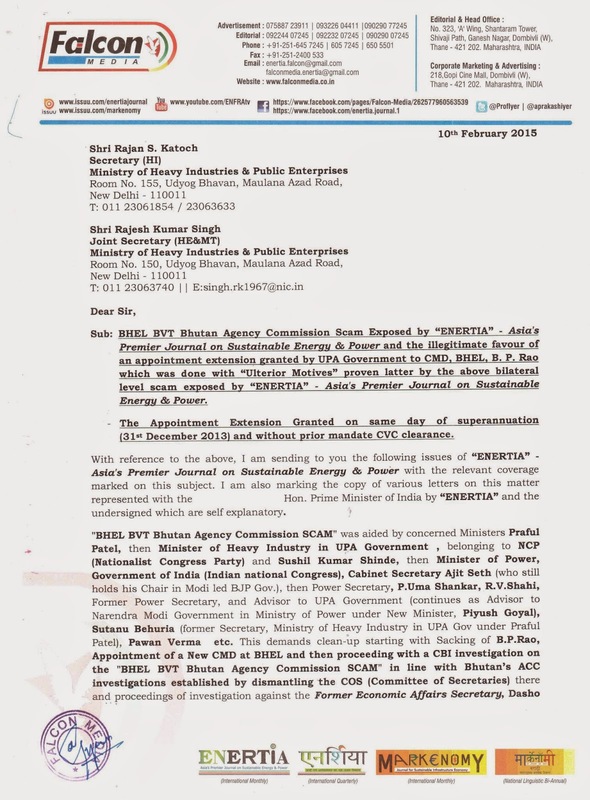 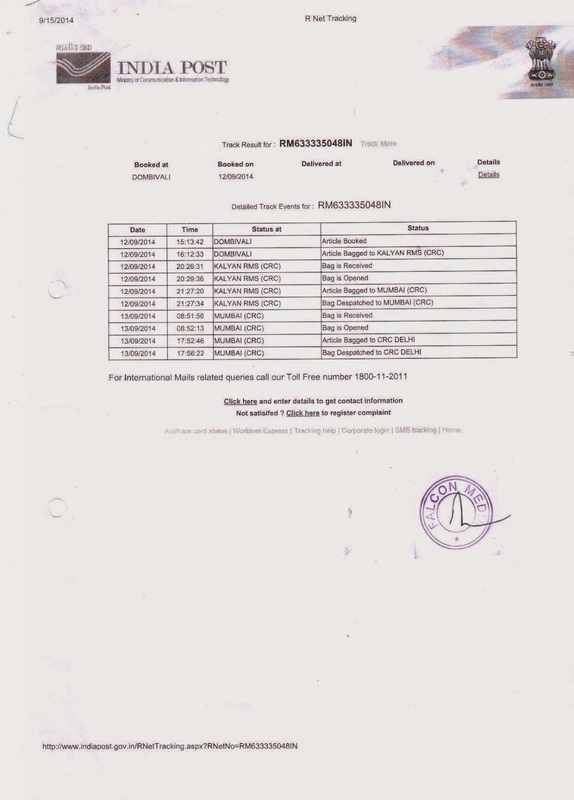 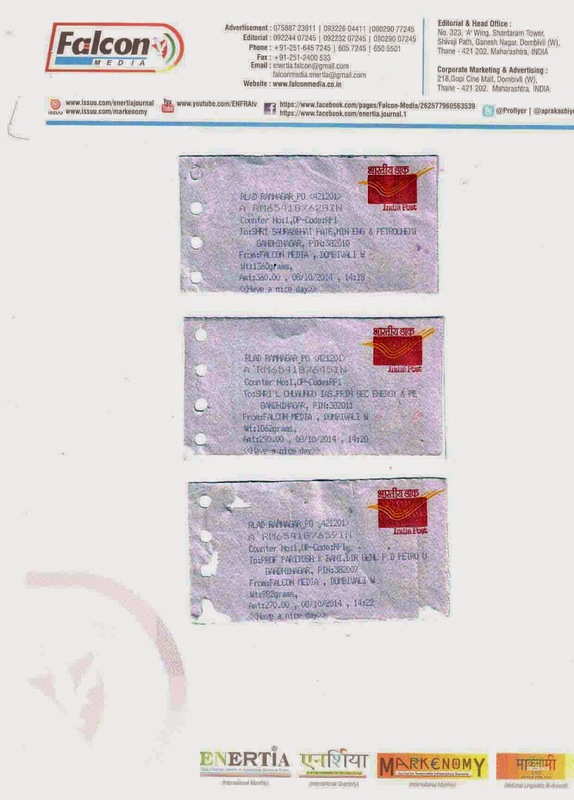 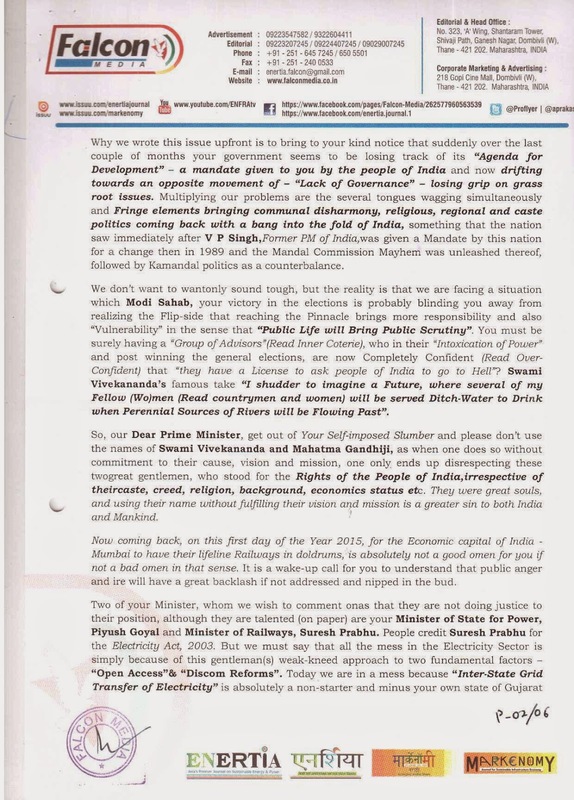 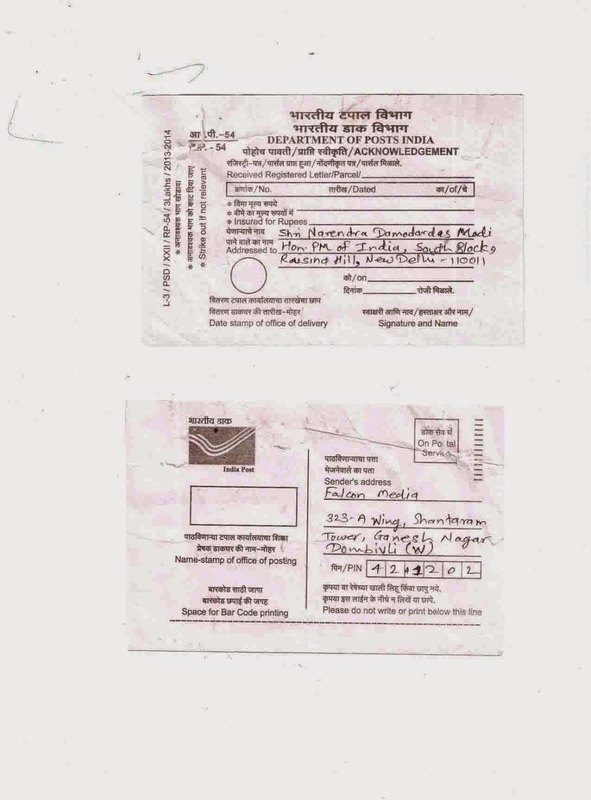 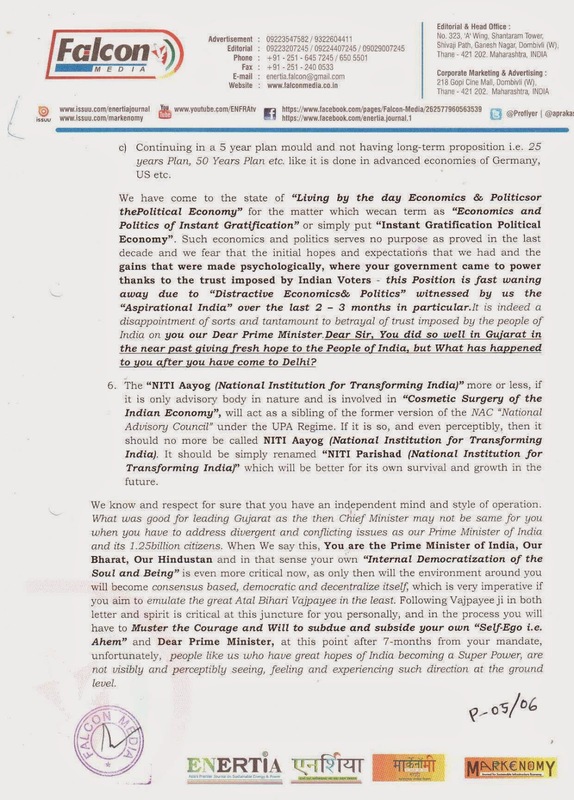 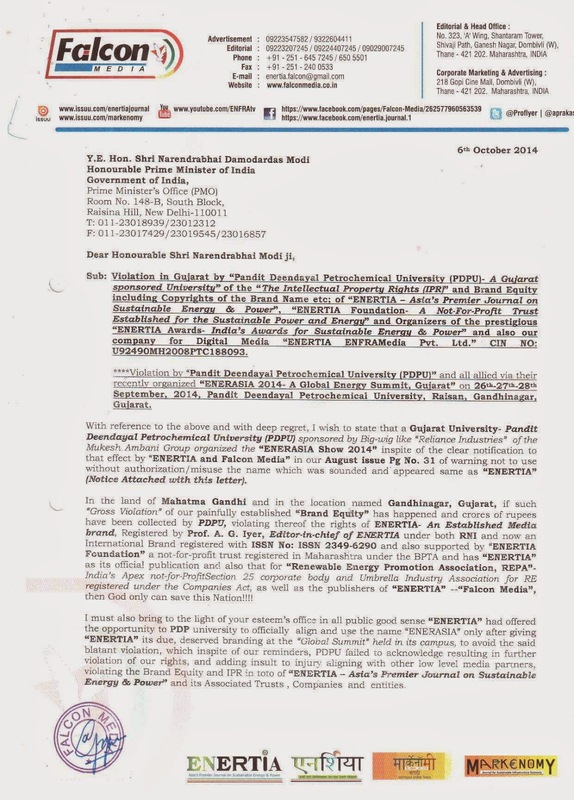 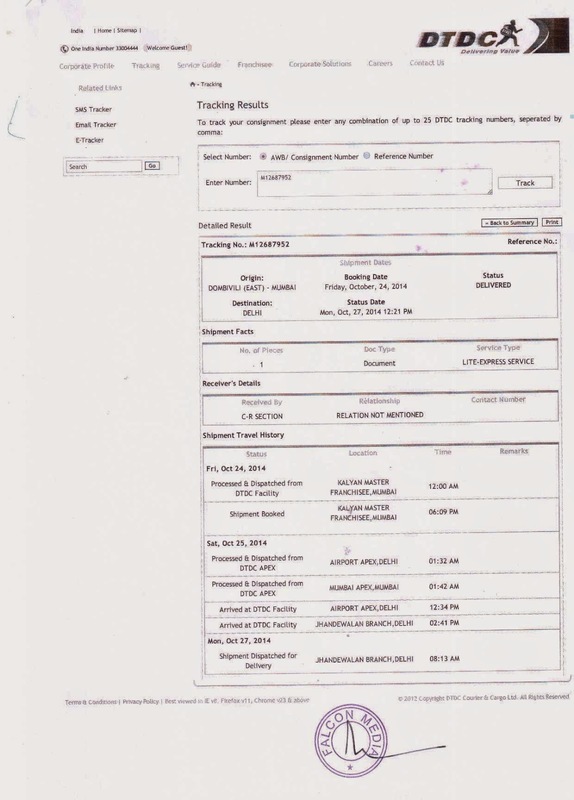 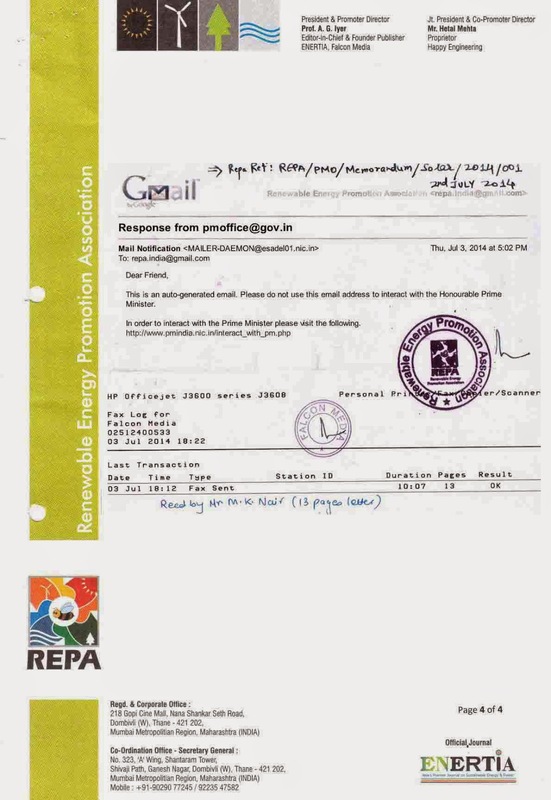 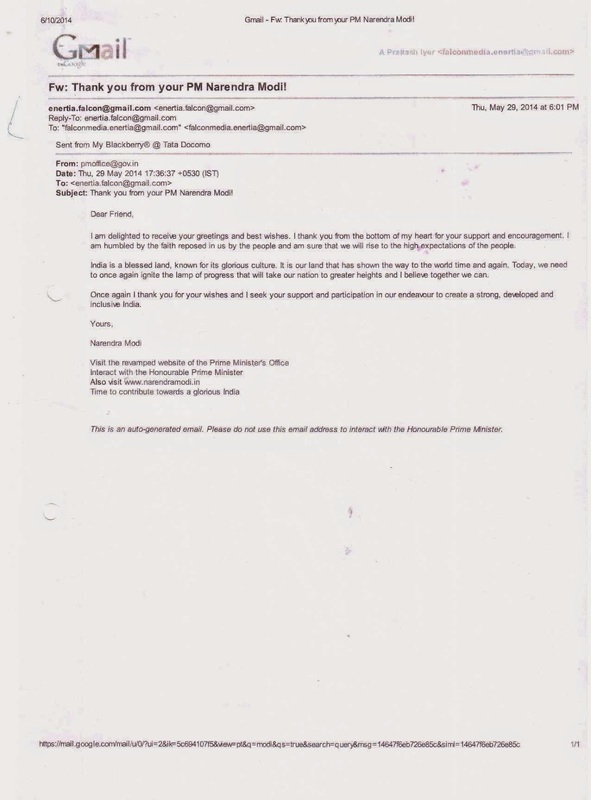 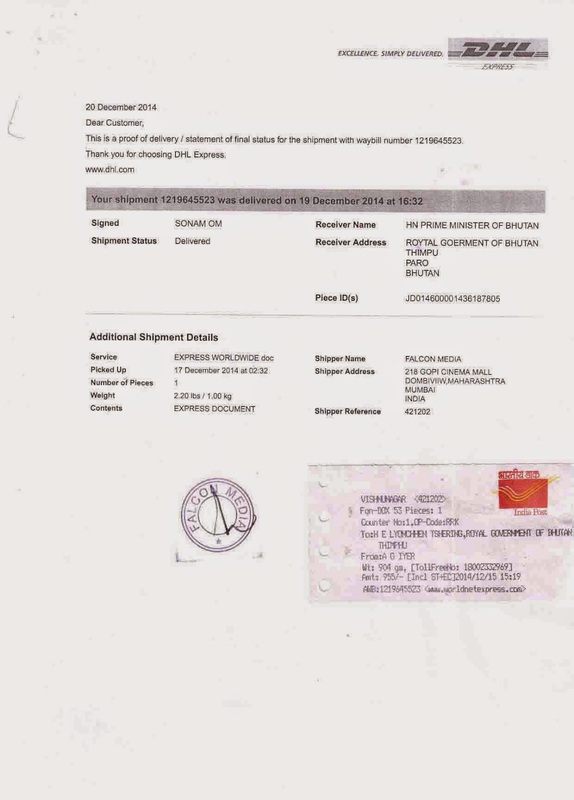 "BHEL BVT Bhutan Agency Commission SCAM" was aided by concerned ministers Praful Patel, then Minister of Heavy Industry in UPA Government , belonging to NCP (Nationalist Congress Party) andSushil Kumar Shinde, then Minister of Power, Government of India (Indian national Congress), Cabinet Secretary Ajit Seth (who still holds his Chair in Modi led BJP Gov. 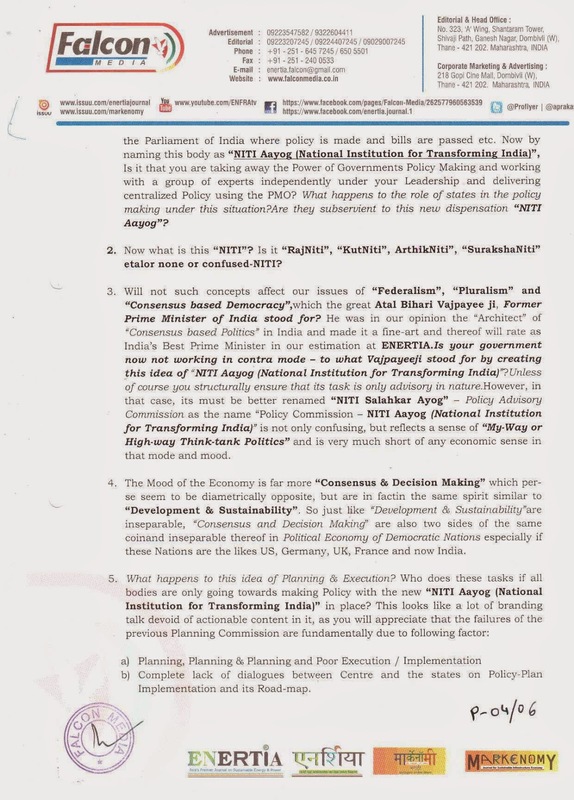 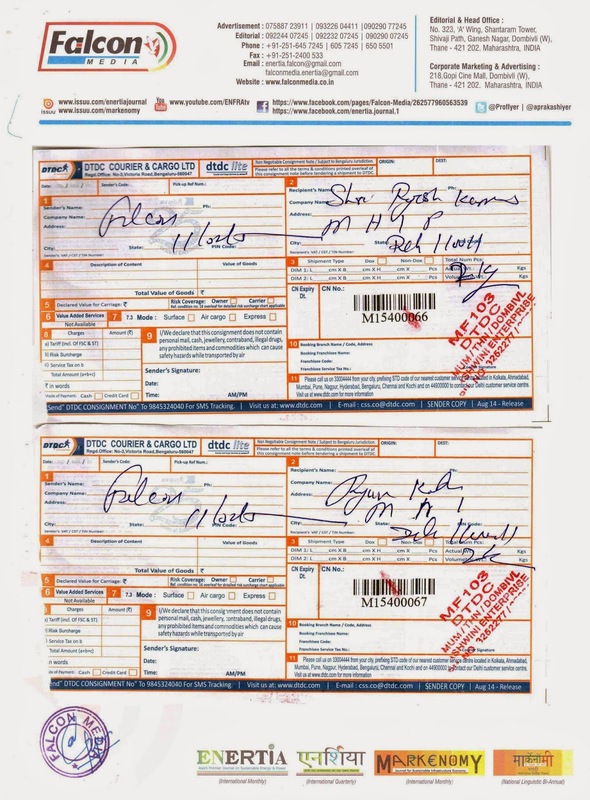 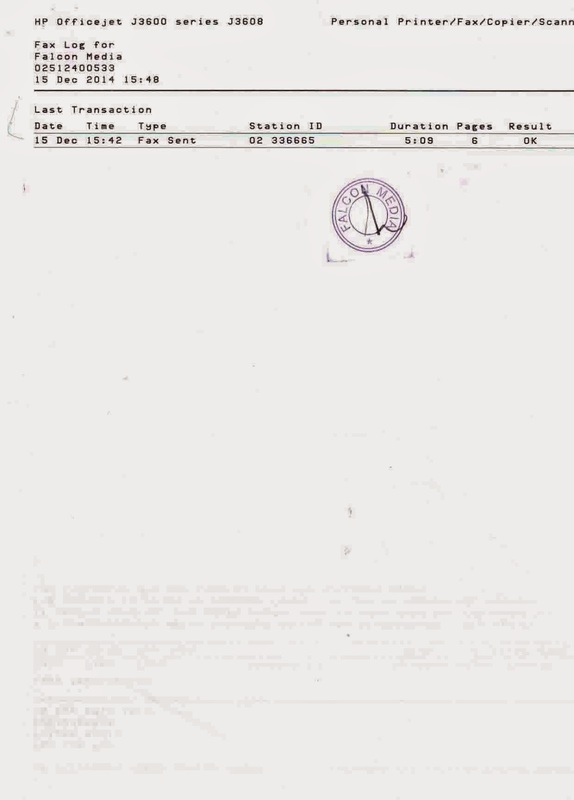 ), then Power Secretary, P. Uma Shankar, R.V.Shahi, Former Power Secretary, and Advisor to UPA Government(continues as Advisor to Modi Government in Ministry of Power under New Minister, Piyush Goyal), Sutanu Behuria (Former Secretary, Ministry of Heavy Industry in UPA Gov under Praful Patel), Pawan Verma etc. 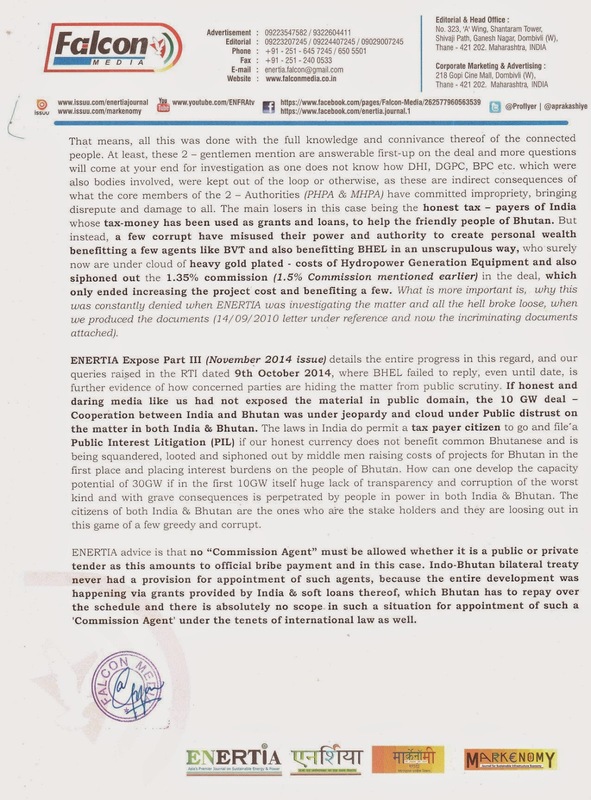 This demands clean-up starting with Sacking of B. P. Rao from the Illegitimate appointment extended position of CMD, BHEL; followed by Appointment of a New CMD at BHEL and then proceeding with a "CBI Investigation" on the "BHEL BVT Bhutan Agency Commission SCAM" based on ENERTIA Expose and supported by TV Channel - Lemon News - Inside Story in India, and "The Bhutanese" who have done extensive coverage on the expose equally in Bhutan. 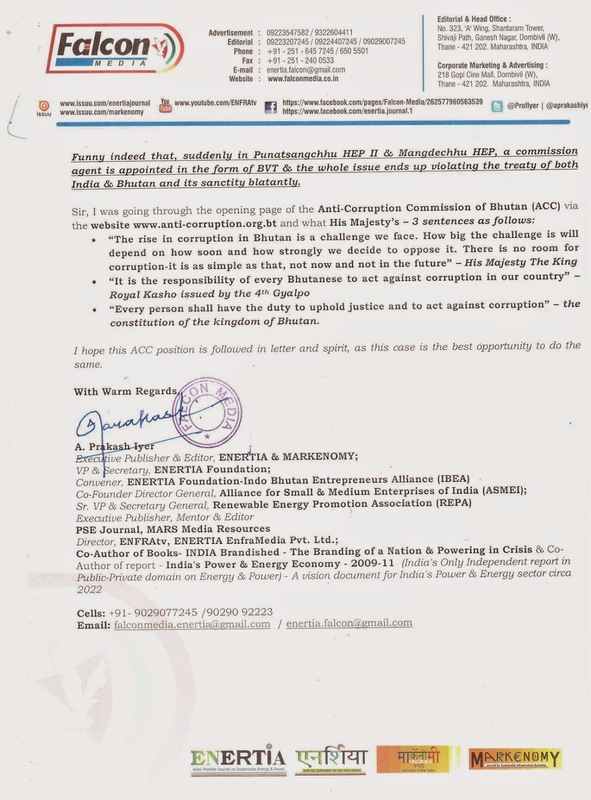 The Narendra Modi led BJP/NDA Govt., its ministry MHI & PE (Ministry of Heavy Industry & Public Enterprises) must initiate quick actions including instituting CBI Investigations with Bhutan’s ACC (Anti Corruption Commission) investigations established by dismantling the CoS(Committee of Secretaries) there and proceedings of investigation initiated at the ACC against the Former Economic Affairs Secretary, Ministry of Economic Affairs, RoGB, Dasho Sonam Tshering; Former Cabinet Secretary, RoGB, Dasho Penden Wangchuk, and the Former Foreign Secretary, RoGB, Yeshey Dorji in Bhutan.